Carl Oglesby, the son of a rubber mill worker, was born in Akron, Ohio on 30th July, 1935. He went to Kent State University but dropped out in his final year and moved to Greenwich Village where he made attempts to become an actor and playwright. After failing to establish himself in his chosen profession, he returned to Kent to complete his degree. In the years following graduation he did a variety of different jobs, including working as a technical editor for Bendix, a defense contractor in Michigan. He got married and over the next few years his wife Beth, had three children, Aron, Caleb, and Shay. While working for Bendix he studied part-time for a second degree at the University of Michigan. Oglesby was radicalized by the Vietnam War and eventually joined the Students for a Democratic Society (SDS), a group that organized opposition to the war. Hillel Italie has pointed out: "The SDS had been founded in 1960 at the University of Michigan, and its early declaration, the Port Huron Statement, helped embody the idealism of the early '60s. The SDS supported civil rights and opposed the nuclear arms race. It was strongly critical of the U.S. government and called for greater efforts to fight poverty and big business." Oglesby became a full time Research, Information, Publications worker for SDS. In 1965 he was elected as president of the organization. In this role he was instrumental in organizing the SDS peace march in Washington on 17th April, 1965. Mike Davis was a fellow member of the SDS at the time. "He was ten years older than most of us, had just resigned from Bendix corporation where he had worked as a technical writer, and wore a beard because his face was cratered from a poor-white childhood. His father was a rubber worker in Akron and his people came from the mountains. I’m not capable of accurately describing the kindness, intensity and melancholy that were alloyed in Carl’s character, or the profound role he played in deepening our commitment to the anti-war movement. He literally moved the hearts of thousands of people." On 27th November, 1965, Oglesby made his Let Us Shape the Future speech: "We are here again to protest a growing war. Since it is a very bad war, we acquire the habit of thinking it must be caused by very bad men. But we only conceal reality, I think, to denounce on such grounds the menacing coalition of industrial and military power, or the brutality of the blitzkrieg we are waging against Vietnam, or the ominous signs around us that heresy may soon no longer be permitted. We must simply observe, and quite plainly say, that this coalition, this blitzkrieg, and this demand for acquiescence are creatures, all of them, of a Government that since 1932 has considered itself to he fundamentally liberal. The original commitment in Vietnam was made by President Truman, a mainstream liberal. It was seconded by President Eisenhower, a moderate liberal. It was intensified by the late President Kennedy, a flaming liberal. Think of the men who now engineer that war - those who study the maps, give the commands, push the buttons, and tally the dead: Bundy, McNamara, Rusk, Lodge, Goldberg, the President himself. They are not moral monsters. They are all honorable men. They are all liberals." Oglesby argued that radicalism, not liberalism, would be needed to bring an end to America's foreign policy. Oglesby added that it was also important to look at domestic issues: "Can we understand why the Negroes of Watts rebelled? Then why do we need a devil theory to explain the rebellion of the South Vietnamese? Can we understand the oppression in Mississippi, or the anguish that our Northern ghettoes makes epidemic? Then why can't we see that our proper human struggle is not with Communism or revolutionaries, but with the social desperation that drives good men to violence, both here and abroad?" Another SDS activist, Todd Gitlin, compared Oglesby's oratory to that of Martin Luther King: "The only other person who compared to him was Martin Luther King. He had the mastery of vivid phrases and also the power of mobilizing people." Tom Hayden called Oglesby a "radical individualist" in the tradition of Henry David Thoreau. "He used to think you could argue with Pentagon intellectuals like Robert McNamara and get them to change their minds... But he later decided there would have to be a fundamental power shift." Kirkpatrick Sale was one of those who witnessed Oglesby's speech. He wrote in SDS: Ten Years Towards a Revolution (1974): "It was a devastating performance: skilled, moderate, learned, and compassionate, but uncompromising, angry, radical, and above all persuasive. It drew the only standing ovation of the afternoon... for years afterward it would continue to be one of the most popular items of SDS literature." In his 1967 essay Vietnamese Crucible, Oglesby rejected the "socialist radical, the corporatist conservative, and the welfare-state liberal" and "challenged the new left to embrace American democratic populism and the American libertarian right." Oglesby, who described himself as a "radical centrist", came under attack from those of the radical left, such as the Weathermen, who described him as a "hopeless bourgeois liberal." However, he was invited by the Black Panther leader Eldridge Cleaver to be his vice-presidential running-mate for the Peace and Freedom party in 1968, but he declined. In 1969 Oglesby left the Students for a Democratic Society. His friend, Todd Gitlin, commented: "He suffered greatly from that, maybe more than anyone else of the older crown, from being targeted by the Weathermen as a bad guy. He used to say that the Weathermen were like the children of his generation, dismantling what had been achieved." Godfrey Hodgson has pointed out: "Oglesby was essentially an autodidact and developed a hybrid political philosophy of his own. He made himself unpopular with some by insisting that the men who led the US into the war were not bad people as individuals, and that the war was the product of systemic faults in American society. He came under the influence of the libertarian thinker Murray Rothbard and even aspired to a kind of fusion between the old right, in which he included such conservative figures as General Douglas MacArthur and Senator Robert Taft, and the new left." Oglesby went on to teach politics at Massachusetts Institute of Technology and Dartmouth College. He also released two albums, Carl Oglesby (1969) and Going to Damascus (1971), that were praised for their "psychedelic folk rock sound." In 1972 Oglesby was one of the founders of the Assassination Information Bureau. His writings include the afterword On the Trial of the Assassins, in the book written by Jim Garrison. Oglesby is also the co-author of Containment and Change (1967) and the editor of The New Left Reader (1969). Oglesby has written several books on the assassination of John F. Kennedy and related topics such as Watergate. This included the publication of The Politics Of Conspiracy (1975), The Yankee and Cowboy War: Conspiracies from Dallas to Watergate and Beyond (1976).Who Killed JFK? 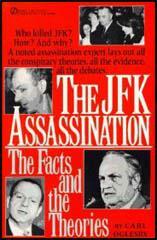 (1991) and The JFK Assassination: The Facts and the Theories (1992). This was followed by Ravens in the Storm: A Personal History of the 1960s Antiwar Movement (2008). Carl Oglesby died of lung cancer at his home in Montclair, New Jersey on 13th September, 2011 at the age of 76. He is survived by his children Aron DiBacco, Shay Ogelsby-Smith, and Caleb, and Carl's partner, Barbara Webster. The original commitment in Vietnam was made by President Truman, a mainstream liberal. It was seconded by President Eisenhower, a moderate liberal. It was intensified by the late President Kennedy, a flaming liberal. Think of the men who now engineer that war  those who study the maps, give the commands, push the buttons, and tally the dead: Bundy, McNamara, Rusk, Lodge, Goldberg, the President himself. They are not moral monsters. They are all honorable men. They are all liberals. There is simply no such thing now, for us, as a just revolution - never mind that for two-thirds of the world's people the Twentieth Century might as well be the Stone Age; never mind the melting poverty and hopelessness that are the basic facts of life for most modern men; and never mind that for these millions there is now an increasingly perceptible relationship between their sorrow and our contentment. I see SNCC as the Nile Valley of the New Left. And I honor SDS to call it part of the delta that SNCC created. A question has been raised in the New Republic of Oct. 30 which I think it most appropriate for me to take up here. The question is a familiar one, an old companion of American radicals. The editors criticize Students for a Democratic Society for being too casual about the prospect of communist infiltration. Our members, they say, "do themselves and their aims a disservice by welcoming communists in their ranks, and by making a virtue out of indifference to the possibility of communists becoming the dominant voice in their organization." Presidents of SDS I am the fifth don't really preside over much. They don't make policy. Least of all do they speak final words in the organization's name. So my attempt to reach into the heart of this concern is my own. And on a matter as perplexing to Americans as communism is, I'm of course doubly cautious. And cautious a third time because the problem is a very hard one. I will cavil a bit to begin with, for the editorial in question has somewhat misconstrued us. So we "welcome" communists, do we? "Welcome" is of course the loaded word, automatic on these occasions. We welcome small-d democrats and converts to radical democracy, not totalitarians in cloaks neither red cloaks nor fed cloaks. And the editors surely have an odd view of our simple human pride in values if they think we'd be "indifferent" to the loss of the organization that embodies and sustains those values. Still, their question is real, even piercing. SDS does not screen, purge, or use loyalty pledges. So along with Senator Dodd, the New Republic editors narrow their eyes at us. We are not confused, however. We can perceive the differences between Sen. Dodd and (the New Republic editor Gilbert) Harrison. We understand about the strange bedfellows that politics makes. Indeed, this is the whole question, isn't it? So what answers do we have? What about the problem of "infiltration"? It must surely be common knowledge that factionalism is the reef of the American left, and that the "infiltration" argument is one of the chief weapons of those who take comfort in its disarray. THE way, that is, to factionize and fractionate the left here is to cry, "Beware the Red Menace that bores from within!" It is by this incantation that "pure" radicals are divided from the "impure," and those among the pure who dispute the categories from those who find them tolerable. It is not news that this happens. And when we are referred to labor's experience with communism in the 1940s as if that record proved the virtues of exclusionism it is not news either that we could theorize from the same record that our Establishment unions exist today at the expense of an American left. And just what are we expected to do, anyway? We say we are democrats and are told that's not enough, for a man may smile and smile, and be a villain. Certainly. He may also be a happy democrat. Our critics must show us the perceptible telltale clues that divide pretense from belief, or how to find the twisting motive in the straight-seeming act. Motives are invisible. And it is so obvious one nearly weeps to say it that to judge the invisible even, alas, in politics is a type of sorcery. We judge behavior. Those whose behavior runs athwart the deep SDS commitment to democracy just have no leverage over the democrats of SDS. And, in any case, SDS retains no detectives. Further, it is hard to see how a group could be "taken over" unless it has handles of power that can be seized, some "central apparatus" that can enforce orders. SDS has no such apparatus only a beleaguered hotspot in Chicago and it is a main hard point with us that it never shall. In all our organizing work, in slums and on campuses, we aim to involve everyone equally and openly in the making of decisions, to break down social machines that bestow power undemocratically and withhold it in the same sorry way. Bureaucracies concentrate and conceal power. We avoid them. Anyone who tries to invade us therefore invades only himself; for the only power available to any of us is the power of good sense and humanity. But the criticism has entirely missed the real point: "infiltration" is not nearly the problem that "association" is. What should we do when we find ourselves agreeing on a special issue with "outcaste" groups that we may strongly disagree with generally? Mao Tse-tung wants the U.S. out of Vietnam. And according to the official sources, so does President Johnson. Ho Chi Minh would doubtless like to retire [Defense] Secretary Robert McNamara whom Barry Goldwater the other day suggested should go back to making Edsels. How may Mr. Goldwater and President Johnson cleanse themselves? The manual of American realpolitik recommends dissociation, exclusion. We are pure, they are not. Our motives are good, theirs ulterior. We pluck out this offending eye, cut off this hand. We march alone. But that would hardly be SDS. Radical democracy, we believe, is exactly that social freedom that can reflect critically upon its own foundations. It exposes itself on purpose in order to be itself. It insists on the equal thinkability of all thoughts. Whoever gives himself to real democracy thereby gives himself to a most demanding experiment one that never closes except in the defeat one form of which is called "consensus." Is it not clear on the face of the matter that democracy exists so that struggle can exist without death? That it responds to the problems of variousness in fact by requiring variousness? Of course there is peril for SDS in the democratic commitment two kinds, in fact. First, the danger that our democratic faith might be outargued from within. I cannot describe the remoteness of that danger. It seems to me galactic. But the other danger is more intense. Our acceptance and trust of others opens up the possibility of short-term cooperation with what the great world condemns as untouchables. This can lead to our prejudgment, thence to our political ostracism, and thence to defeat. Then how do we justify taking such a stand? Morally, there is just no choice. Our vulnerability must be total. Is that naive? Yes, I think it is naive. Innocent? To be sure from love. Is it also fatal? Only if America so decides. But there is also, I think, a quite practical wisdom in our stand. I doubt it, but perhaps we'd be more tempted if we were shown how exclusion leads to a more democratic distribution of political power. Clearly, it leads to greater acceptance. But acceptance by what but the prevailing power champions whom we should be striving to unseat? Acceptance to what use but the license to survive without sway in an unchanged society? It is not the aim of the New Left to become the love child of the wretched and the Bank of America. The aim is to change society. We choose to remain unacceptable to those who would not have it changed. And we already know that if they cannot red-bait us and they can do that, as you know, at whim and with no proof then they will beard-bait, beatnik-bait, now this new depravity, Vietnik-bait; and when all else fails, idealist-bait as if when it is once shown that you have ideals, your arguments stands refuted in advance. Compromising to meet the guilt-by-association attack is thus not only unethical, it is also naive, innocent, and fatal. But from fear this time, not love. And among political deaths, too, there are the quick and the slow, the better and the worse. There is maybe still a richer reason for our not saying no to anybody. I see SNCC as the Nile Valley of the New Left. And I honor SDS to call it part of the delta that SNCC created. We are other things, too. But at our best, I think, we are SNCC translated to the North and trained on a somewhat different and broader set of issues. Our best concern comes from SNCC. Some find that concern a bit shocking, but I'll name it anyway. It is to make love more possible. We work to remove from society what threatens and prevents it the inequity that coordinates with injustice to create plain suffering and to make custom of distrust. Poverty. Racism. The assembly-line universities of this Pepsi Generation. The ulcerating drive for affluence. And the ideology of anti- communism, too, because it smothers my curiosity and bribes my compassion. This ideology decrees for me that I may not love Castro, however shining-bright his anguish, or Gus Hall, however long his sorrow. And I quite likely speak for most all of us in SDS when I refuse that ideology on plain and self-evident principle. Finally, I would be so bold as to lecture our liberal critics a bit on the subject of democracy. Even as they counsel us on this matter, we stare their failures in the face. What, after all, is the idea of "political democracy" which they claim to be jeopardized by our radical trust? Is it this quadrennial spasm of the body politic that puts purchasable men in the low places and purchasers in the high? Do they see the fruit of their own generation's political wisdom in this recently paroled Congress, which met with such amazing silence what may be the major crisis of American character, the Vietnam war? SDS, believe me, is by no means smug or even to very hopeful about what it has been able to do so far. But still we are puzzled that they should play schoolmaster on this question. Better for them, perhaps, to observe more and admonish less their sons and daughters. All the old good hopes rest now with them, the young, whose risks are obligatory. It simply must have been heard in this country, sometime, that democracy is nothing if it is not dangerous. Baker details his discovery that CIA Director of Security Osborn ordered Pennington material removed from CIA Watergate files before the files were handed over to Congressional investigating committees, and points out that the information on Pennington came to light in the first place "only as a result of the position taken by a staff employee of the Personnel Security Division." This staff employee "was so concerned that the documentary evidence - of the Pennington information would be destroyed by others in the CIA that he and a co-employee copied the relevant memoranda and placed them in their respective personal safes:" An unsung Ellsberg, this staff employee. The "relevant memoranda" referred to appear to be a single internal CIA report by Paul Gaynor on the results of agent Pennington's trip to the McCord house several hours after the Watergate arrest. As we shall see, Gaynor remained in close contact with the McCord operation from then on, at least up to the March 19 letter and the opening of the Sirica phase. One or both of these anonymous CIA "staff employees" ( intelligence analysts?) balked at going along with a CIA letter notifying the Ervin Committee that it had seen everything the CIA had to show on the question. According a Jim Squires story appearing in the Boston Globe, March 26, 1974, Gaynor's report had been kept secret over a year by Security Director Osborn, who "took an early retirement last month." Paul Gaynor also "retired from the Agency last year." Heads falling in the forest-do they make any sound. Carl Oglesby may be the ultimate politically hyphenated American: He's an anti-interventionist-New Left-humanist-libertarian. He's also a folk singer with two albums to his credit, an author, and one of the nation's leading experts on the assassination of John F. Kennedy. Oglesby's background didn't hint that he would end up, as Murray Rothbard called him in 1992, a "longtime libertarian." Born in Ohio, Oglesby attended Kent State University and then worked in Michigan as a technical editor for a defense contractor. His world turned upside down in 1965 when he became radicalized about the United States' growing military involvement in Vietnam. Later that year, he was elected president of Students for a Democratic Society (SDS), a "New Left" group that organized student opposition to the Vietnam War. As he traveled around the country, Oglesby came to realize that the United States' foreign policy wasn't just a matter of left (good) versus right (bad). In 1967, he wrote Containment and Change (with Richard Shaull), which argued that the libertarian, non-interventionist "Old Right" should be the New Left's best ally in opposing an imperialistic American foreign policy. 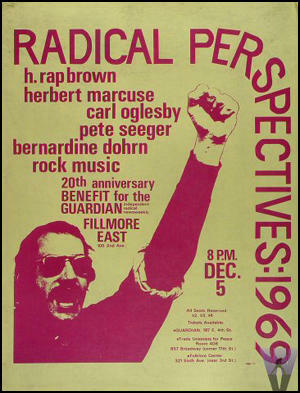 In 1971, Oglesby was a speaker at a "Left-Right Festival of Mind Liberation." The event, sponsored by the California Libertarian Alliance, was designed to lay the groundwork for a libertarian/New Left anti-war coalition. Oglesby made the case that "the Old Right and the New Left" were "morally and politically" united in their opposition to war, and should work together. Oglesby also began speaking out against the alliance of big business and government - what he called the "corporate state" - and in favor of "radically humanist politics" that embraced decentralization and free association. During those same years, Oglesby earned recognition for his musical talent. He released two albums, Carl Oglesby (1969) and Going to Damascus (1971), that were praised for their "psychedelic folk rock sound." The albums were re-released in CD format in 2003. After the Vietnam War ended, Oglesby's innate suspicion of government led him down another career path -- investigating the assassination of John F. Kennedy. He wrote three books: On the Trail of the Assassins (with Jim Garrison, 1988); Who Killed JFK? (1991); and The JFK Assassination: The Facts and the Theories (1992). All three voiced skepticism about the government's "lone-gunman" theory. In 1991, Oglesby again bridged the gap between his libertarian/left perspective and the liberty movement in a speech to the Massachusetts Libertarian Party. In it, Oglesby discussed secret American intelligence operations, including the U.S. Army's post-World War II "Gehlen Deal" that recruited former Nazis to spy on the USSR for NATO; the CIA's 1953 Operation Ajax that overthrew the government of Iran; and the FBI's Vietnam War-era COINTELPRO campaign against anti-war activists. Such covert operations, warned Oglesby, were indicative of an out-of-control "national-security oligarchy" that constituted "a secret and invisible state within the public state." As a Washington co-director of the Assassination Information Bureau, which was created early in the 1970s to build a movement for a new J.F.K. investigation, I watched Blakey from a short distance and sometimes close up over a period of about a year and a half as he prepared and presented his theory of the assassination for the committee's review and approval. At first I supported his Mafia theory for basically strategic reasons. It was at least a conspiracy theory that was not rightwing, it could command an official consensus, and it thus appeared strong enough to get the case properly reopened and activated by the Justice Department. Blakey believed the committee's then - fresh leads pointed to the Mafia. Many of us who were watching thought he was mistaken, and that the leads would punch right through the Mafia cover and track straight back to several departments of official U.S. intelligence. That was the gamble and the deal: Let the government start pulling the Mafia string, we thought, and we will see what else it brings with it. Then came the Reagan era and the total freeze-out from government sympathy of any project in the least memorializing of the Kennedys. Blakey did not take the offensive when the F.B.I, rudely closed the Justice Department's door in his face, basically telling him and the committee, "We don't buy it, so you're out of luck." Why did Blakey choose not to fight harder and more publicly about it? Why did he seem to retire from the fray? But then: Why did he try to crucify Garrison? Why did he not credit Garrison for the contribution Garrison has made to the development of this case, though working with a fraction of Blakey's resources and under the intense pressure of an active covert opposition? Why did Blakey ignore the evidence turned up by his own investigators that the Cuban exile community was equally well positioned to kill a President as was the Mafia? Why did he ignore the fact that this Cuban exile community was the creature of the C.I.A. 's operations directorate? 1953: Operation Ajax: The CIA overthrew Premier Mohammed Mossadegh in Iran, complaining of his neutralism in the Cold War, and installed in his place General Fazlollah Zahedi, a wartime Nazi collaborator. Zahedi showed his gratitude by giving 25-year leases on forty percent of Iran's oil to three American arms. One of these firms, Gulf Oil, was fortunate enough a few years later to hire as a vice president the CIA agent Kermit Roosevelt, who had run Operation Ajax. Did this coup set the clock ticking on the Iranian hostage crisis of 1979-80? 1954: News Control: The CIA began a program of infiltration of domestic and foreign institutions, concentrating on journalists and labor unions. Among the targeted U.S. organizations was the National Student Association, which the CIA secretly supported to the tune of some $200,000 a year. This meddling with an American and thus presumably off-limits organization remained secret until Ramparts magazine exposed it in 1967. It was at this point that mainstream media first became curious about the CIA and began unearthing other cases involving corporations, research centers, religious groups and universities. 196061: Operation Zapata: Castro warned that the United States was preparing an invasion of Cuba, but this was 1960 and we all laughed. We knew in those days the United States did not do such things. Then came the Bay of Pigs, and we were left to wonder how such an impossible thing could happen. 196063: Task Force W: Only because someone still anonymous inside the CIA decided to talk about it to the Senate Intelligence Committee in 1975, we discovered that the CIA's operations directorate decided in September 1960: (a) that it would be good thing to murder Fidel Castro and other Cuban leaders, (b) that it would be appropriate to hire the Mafia to carry these assassinations out, and (c) that there would be no need to tell the President that such an arrangement was being made. After all, was killing not the Mafia's area of expertise? It hardly seemed to trouble the CIA that the Kennedy administration was at the very same time trying to mount a war on organized crime focusing on precisely the Mafia leaders that the CIA was recruiting as hired assassins. 1964: Two weeks after the Johnson administration announced the end of the JFK Alliance for Progress with its commitment to the principle of not aiding tyrants, the CIA staged and the U.S. Navy supported a coup d'etat in Brazil over-throwing the democratically elected Joao Goulart. Within twenty-four hours a new right-wing government was installed, congratulated and recognized by the United States. 1967: The Phoenix Program. A terror and assassination program conceived by the CIA but implemented by the military command targeted Viet Cong cadres by name - a crime of war. At least twenty thousand were killed, according to the CIA's William Colby, of whom some 3,000 were assassinated. A CIA analyst later observed "They assassinated a lot of the wrong damn people". August 1967: COINTELPRO. Faced with mounting public protest against the Vietnam War, the FBI formally inaugurated its so-called COINTELPRO operations, a rationalized and extended form of operations under way for at least a year. A House committee reported in 1979 that "the FBI Chicago Field Office files in 1966 alone contained the identities of a small army of 837 informers, all of whom reported on antiwar activists, political activities, views or beliefs, and none of whom reported on any unlawful activities by (these activists)". October 1967: Two months after the PBI started up COINTELPRO, the CIA followed suit with MH/Chaos, set up in the counterintelligence section run by a certifiable paranoid named James Jesus Angleton. Even though the illegal Chaos infiltration showed that there was no foreign financing or manipulation of the antiwar movement, Johnson refused to accept this, and the operation continued in to the Nixon administration. By 1971, CIA agents were operating everywhere there were students inside America, infiltrating protest groups not only to spy on them but to provide authentic cover stories they could use while traveling abroad and joining foreign anti-war group. Chaos was refocused on international terrorism in 1972, but another operation, Project Resistance, conducted out of the CIA Office of Security, continued surveillance of American domestic dissent until it was ended in June 1973. The earnest and bespectacled Oglesby helped organize teach-ins and rallies, and his stature peaked in November 1965 at an early, and massive, anti-war rally in Washington. In an address titled "Let Us Shape the Future," Oglesby spoke as a disillusioned patriot and liberal who rejected not just the war, which liberals had escalated, but much of American foreign policy since the end of World War II and the free enterprise system he believed demanded endless conflict. He was equally critical of Republican and Democratic presidents as victims, and enablers, of the corporate state and insisted the country's founders would have been on his side. In his most memorable phrase, he challenged those who called him anti-American: "I say, don't blame me for that! Blame those who mouthed my liberal values and broke my American heart." 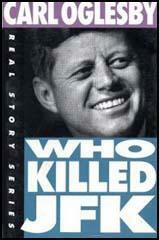 In recent years, Oglesby became obsessed with the Nov. 22, 1963, assassination of President John F. Kennedy. He wrote the books "Who Killed JFK?" 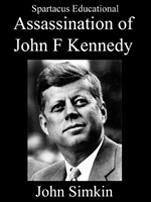 and "The JFK Assassination" and contributed an afterword to Jim Garrison's "On the Trail of the Assassins." In 2008, his memoir "Ravens in the Storm" was published. He recorded music and taught at Dartmouth College and the Massachusetts Institute of Technology. He also was featured in the 1991 television documentary "Making Sense of the Sixties," which he didn't know how to do. "We had an experience, which I suppose is unique in American history and which nobody who ever went through it will ever forget, an experience filled with treasured moments and nightmares alike," he said during the documentary. "The '60s will never level out. It's a corkscrew. It's a tailspin. It's a joy ride on a rollercoaster. It's a never-ending mystery." Unlike many leaders of the American left, old and new, Oglesby came from an authentic working-class background. His family had migrated from the south, his father from South Carolina and his mother from Alabama. His father worked in a rubber plant in Akron, Ohio. Oglesby himself wore a beard, not as a badge of radicalism, but because he had suffered from acne in adolescence and his friends believed that his family were too poor to have it treated. Oglesby was several years older than the other leaders of SDS, such as Tom Hayden and Todd Gitlin, and was married with three children by the time he became involved in radical activism. He had earlier studied at Kent State University – where the national guard later killed four students during a demonstration against the Vietnam war – but dropped out and went to live in Greenwich Village, then the bohemian quarter of Manhattan, where he worked as an actor and wrote three plays. Oglesby was essentially an autodidact and developed a hybrid political philosophy of his own. He made himself unpopular with some by insisting that the men who led the US into the war were not bad people as individuals, and that the war was the product of systemic faults in American society. He came under the influence of the libertarian thinker Murray Rothbard and even aspired to a kind of fusion between the old right, in which he included such conservative figures as General Douglas MacArthur and Senator Robert Taft, and the new left.